The Punta Prima Bus is one of only a few that run from Torrevieja to the popular neighbouring area of Orihuela Costa. 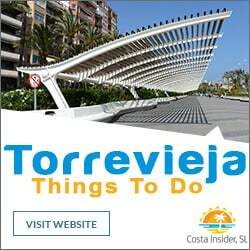 Many holidaymakers to Torrevieja spend some time in Orihuela Costa. Its beautiful beaches and excellent golf courses are a big attraction. The fantastic Zenia Boulevard and numerous other commercial centres provide for great shopping and fun entertainment. It is also well known for it’s lively British, Irish and Scandinavian bars and restaurants. On Saturday mornings the superb Playa Flamenca Market buzzes with life. Some intrepid visitors walk the coastal route that winds its way from Torrevieja all the way to the far border of Orihuela Costa at Campoamor. Less adventurous visitors either use their own vehicle or take a taxi which can be quite costly. 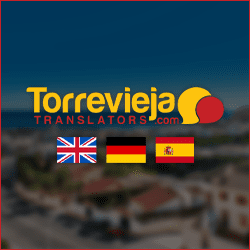 Not many foreign visitors use Torrevieja’s buses, mainly due to the language barrier. The Punta Prima bus however is very simple. It takes less than 30 minutes and only costs 1.35€. For those not familiar with the city it is best to take the bus from the main city terminus. 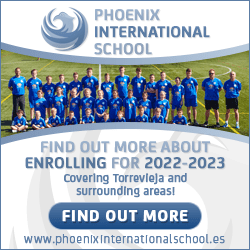 The terminus is located on Avenida de las Habaneras next to the Mercadona Supermarket. The Punta Prima bus is route (linea) F/D. Most people know the area as Punta Prima, although it is marked as Los Altos/Rocio Del Mar on the bus timetable and bus displays. The bus runs about every 40 minutes, from 07:30 to 22:00 but times are not very accurate. If taking the last bus back to Torrevieja it is best to be at your stop by 21:15. Most importantly, this is the only local bus that stops inside the terminal (bay 6). 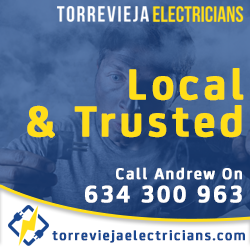 All the other local Torrevieja buses stop on Avenida de las Habaneras at the stop just outside the terminal gates. 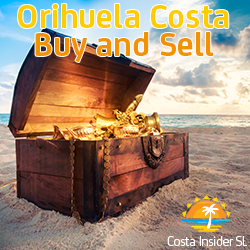 There is an alternative if you miss your bus or wish to travel further into Orihuela Costa. There is a regular coach that travels from Alicante to Pilar de la Horadada. This arrives and leaves from Torrevieja bus terminal (bay 7). 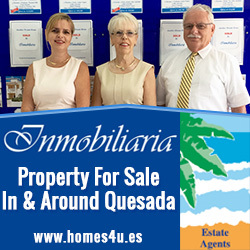 On its journey to Pilar de la Horadada it stops at Punta Prima, Playa Flamenca and Cabo Roig/Campoamor. The fare to these areas is also 1.35€. After leaving the bus takes a winding route through the city and its city suburbs until it reaches the N-332 dual carriageway near the edge of the port. From here it continues along the N-332 all the way to Punta Prima. As you are getting close to your destination there is scrub land and the sea on the left and the stop for Punta Prima is on the right. It’s easily recognised by the large McDonald’s sign which is in the Punta Marina Commercial Centre. For the return journey to Torrevieja, the bus stop is across the road from McDonald’s. The centre is well worth a visit and has a good selection of shops, cafes and restaurants. If you are a fan of the Full English Breakfast, Captain’s Table on the upper level offer their regular for 2€. Across the road from the centre is a strip of shops, bars and restaurants, and just a short walk down Av. de las Olas is Punta Prima Beach. On the left is the impressive Nautilus Restaurant that has an extensive menu and fantastic terraces over the sea. To the right the coastal path continues through Orihula Costa’s beach resort areas. Along the way there are lovely views and ample places to stop for refreshments. There are also two lively beach bars called Sunrise. These are very popular with the local expat community. They have a really chilled out atmosphere, occasional live music and great value pints of beer for 1.60€. The Los Balcones bus is handy for Torrevieja Hospital and the outer-lying residential areas of Orihuela Costa. Taking a bus in Torrevieja is relatively simple if you can speak passable Spanish.